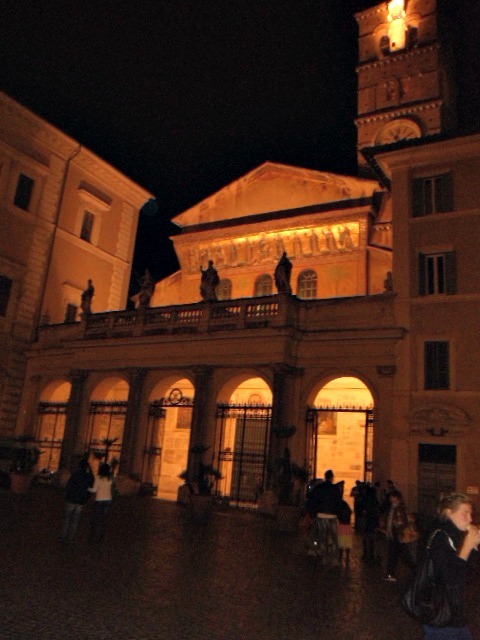 On our third evening (Saturday, Oct. 13th) we made it to Piazza Santa Maria in Trastevere and as luck would have it we were just in time for Saturday evening mass at the basilica. 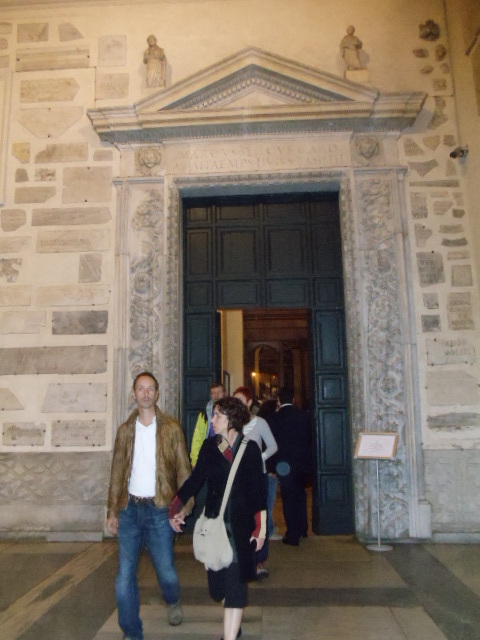 This is one of the oldest churches in Rome and it was such a privilege to be able to join the parishioners in such a lovely setting. Everything doesn’t have to cost a lot of money. A nice time can be had just enjoying the little things in life. Even souvenirs don’t always have to be expensive. 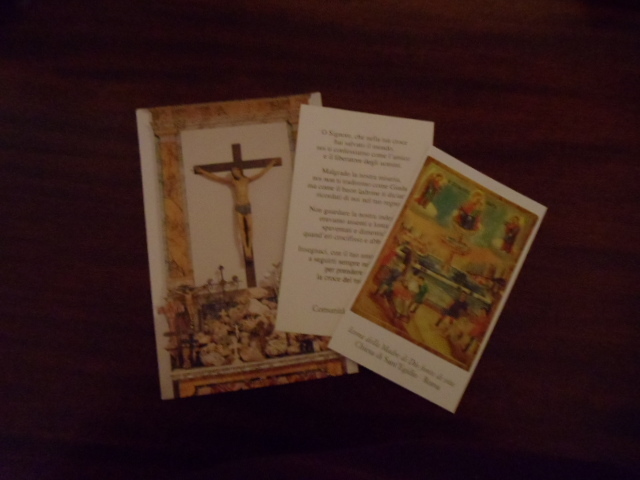 For a donation you can pick up these little cards with prayers and information about the church your visiting. It helps them with maintenance, and they become a nice little memento for a scrapbook. The square becomes very livley as the evening goes on and young people start to gather for the partying that will take place through the night. 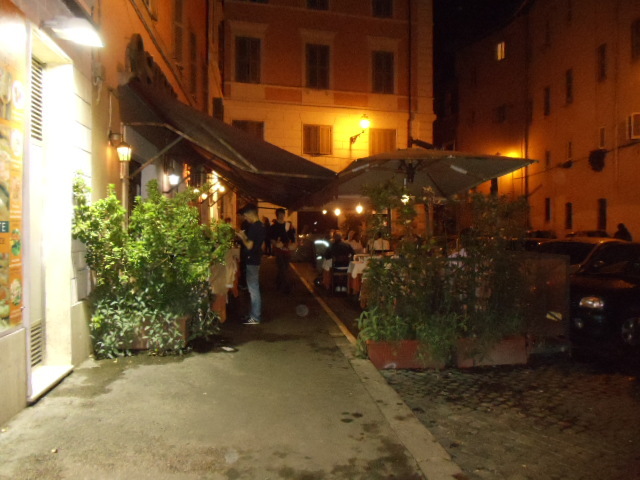 There are many shops and restauants and it is less hectic than other parts of Rome, with a really nice atmospher and people out for an evening stroll. 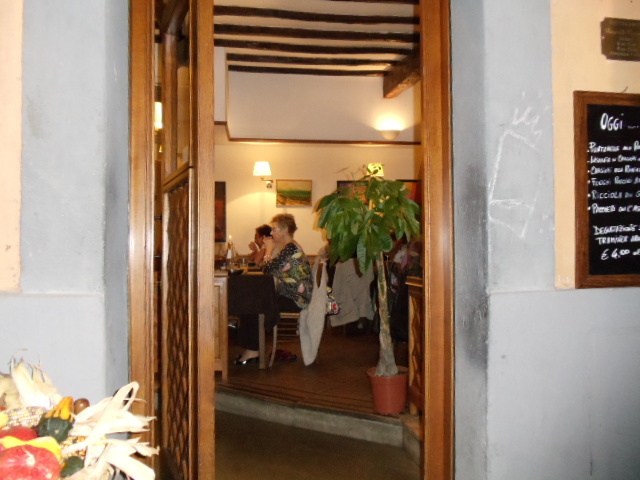 The food is good and even though it is touristy the prices were reasonable. 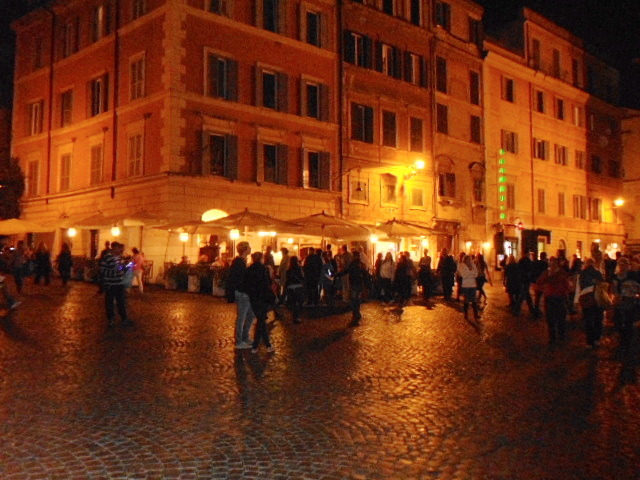 We joined in the strolling and checking out the shops and making our way over a nearby bridge to get a good look at the Tiber. It was very romantic with lots of young lovers on the bridge enjoying the beautiful evening. 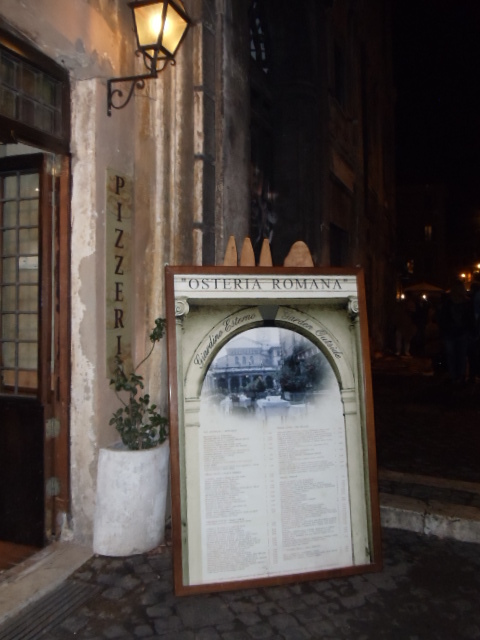 This entry was posted in Food, Italy, Travel and tagged Italy, Piazza Santa Maria Trastevere, Rome, Santa Maria in Trastevere, Tiber, Trastevere. Bookmark the permalink. 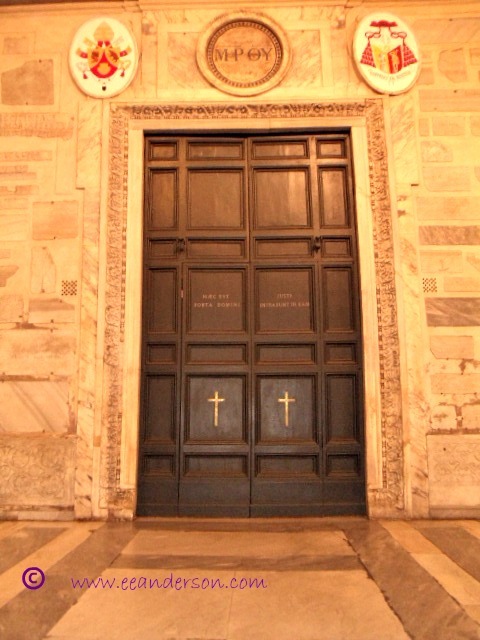 1 Response to Piazza Santa Maria in Trastevere and mass at the basilica. Sounds wonderful, and of course the gelato makes it perfect!